Rajkahini's Begum Jaan Rituparna Sengupta will meet Hindi Begum Jaan Vidya Balan on 10 April, today in Kolkata. Producer Mahesh Bhatt has invited Rituparna Sengupta. Rituparna Sengupta played the brothel madam in film Rajkahini which was a Bengali film. 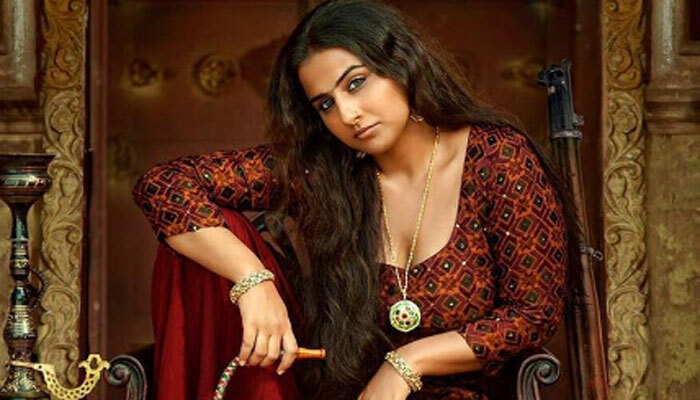 Hindi version of film Rajkahini is Begum Jaan and Vidya Balan is playing the lead role. Rituparna Sengupta said "I remember meeting Vidya when director Srijit (Mukherji) was shooting with her in Delhi. I didn't hand her down my experiences because I trusted her ability to do justice to Begum's part. She's lucky she had Rajkahini as a reference. When I had to play the part, I just had the script and my imagination." Actually Rituparna hoped that she would be in the Hindi version of Rajkahini and further Srijit's statement has hurt the actress. Director Srijit said that Vidya was the first choice for Rajkahini too. Rituparna's reaction is "As far as I remember, Srijit had told me that he couldn't see anyone other than me as Begum in Rajkahini. I was bruised and had lost my voice for days while shooting. So, I really don't know if he had other choices, too, but the pain was worth it because Mahesh (Bhatt) and Vidya had praised my performance back then."